We’ve been talking a lot recently about the elements that come together to create your dream home. When you buy real estate, the advice is to put your money into kitchens and master suites. There are a couple of good reasons for this. First, these are areas in which you will get the best return for your investment in case of resale. 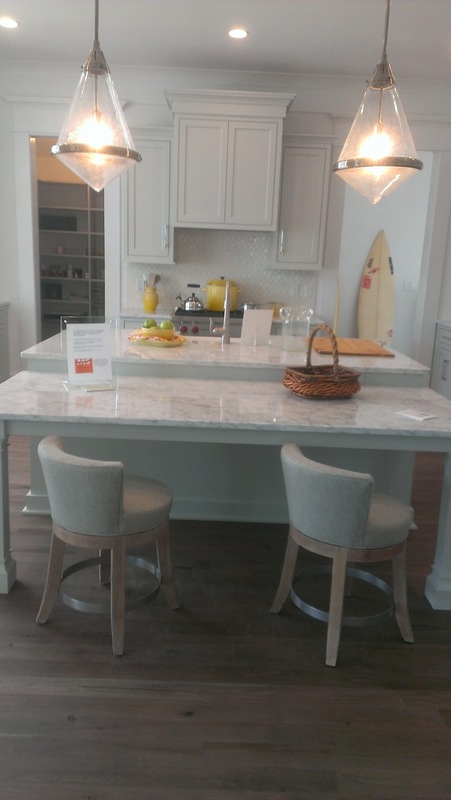 But when you are talking about buying or building your dream home, the kitchen and master suites are parts of the home where you will probably spend most of your time so it’s a good idea to invest your time, planning, and resources into making them exactly what you want. 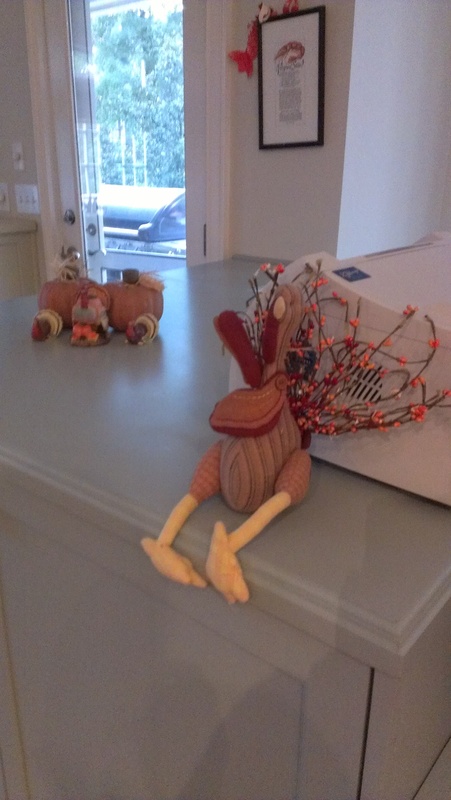 Email us your ideas and we’ll include them in a future post, or post to Facebook at RealViningsBuckhead. 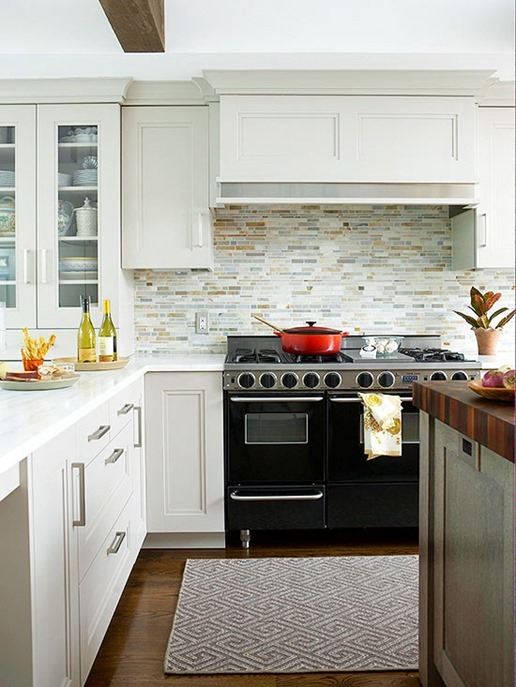 Whatever your personal style, creating a dream kitchen is all about planning and details! If you love great coffee, consider getting a built-in and plumbed coffee station installed like this beautiful Miele coffee system. 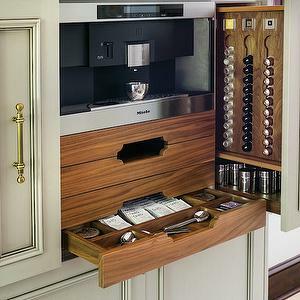 This beautiful built-in coffee systems keeps everything in one place. 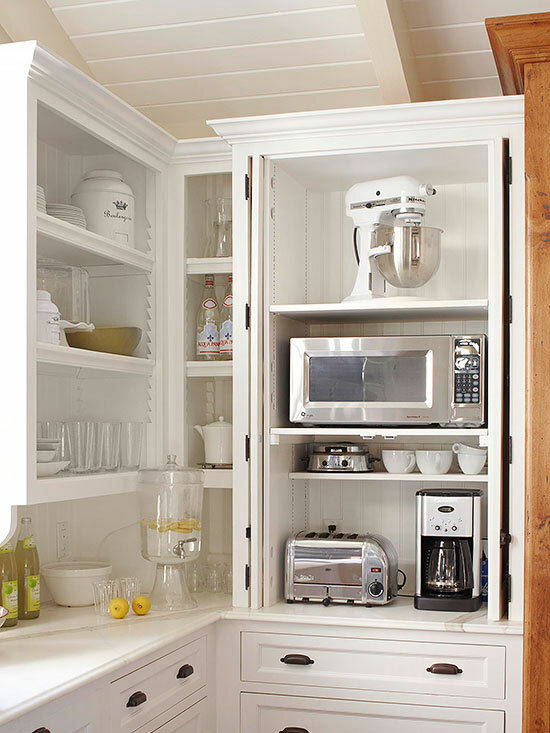 Building in a spacious appliance garage to store coffee maker, electric kettle, toaster, and mixer is a great way to keep your counter tops uncluttered and all of your breakfast appliances convenient in one place. 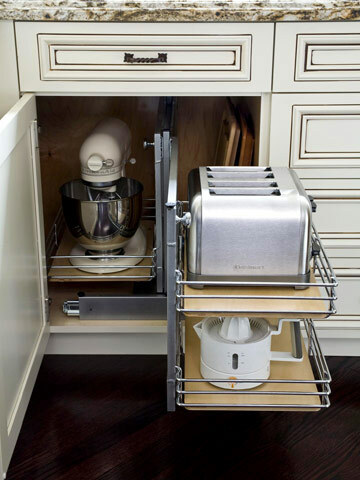 There are shelving systems that can be installed under the counter too that will “pop” your heavier appliances up to counter level with a sturdy spring-loaded system. Pop-up outlets, especially on an island, can keep your counters seamless but still make plugging in appliances convenient. 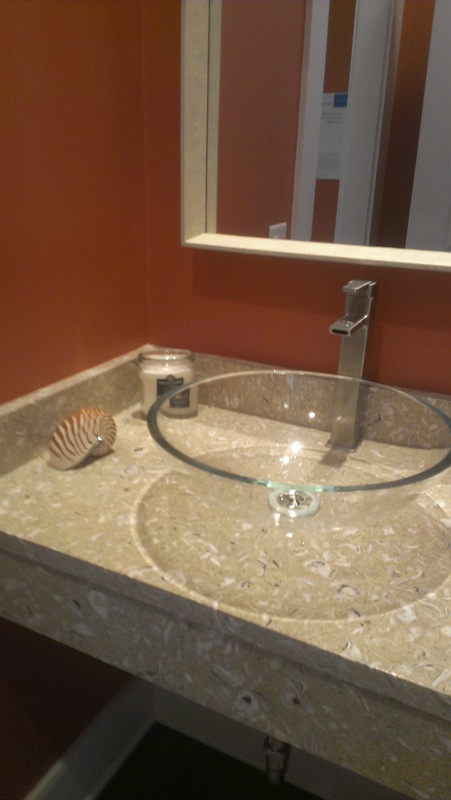 Start researching your counter surfaces early- there are a lot of options out there. 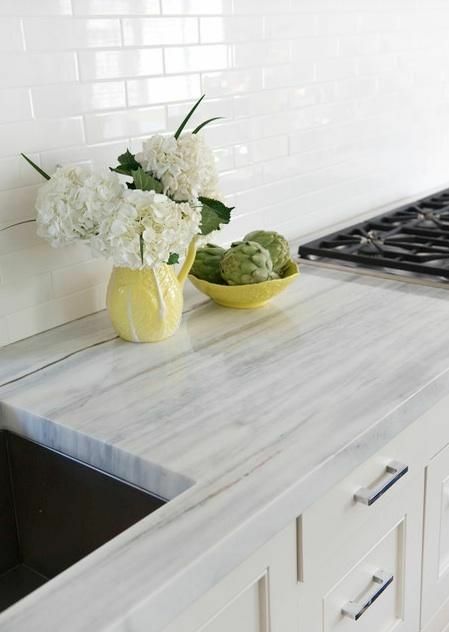 From show-stopping marble to durable and modern quartz and eco-friendly cement, ask about the pros and cons so that you end up with counters that are both functional and beautiful for your lifestyle. A built-in banquette in the breakfast nook can provide a cozy seating area and hide a ton of storage for items you use less often. Having two sinks in the kitchen gives you a smaller sink for washing delicate china and crystal and a big one for pots and pans to soak in. A small sink can also be filled with ice for parties. A lot of people are installing nothing but drawers under the counter. They make finding things so much easier! And the hardware makes drawers sturdy enough for even the heaviest enameled cast iron cookware. 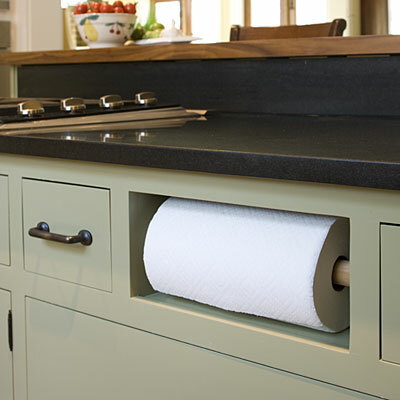 Speaking of drawers, soft-close drawers and cabinets are the only way to go. Hardware has come such a long way, it really makes keeping all of your things accessible while stored away effortless. Ceiling height cabinets make use of all of your space for storage and keep you from having to deal with all of the dust that gathers on top of kitchen cabinets. If you have beautiful serving pieces that you like to display, glass fronted cabinets with built-in puck lights can make them a great feature. 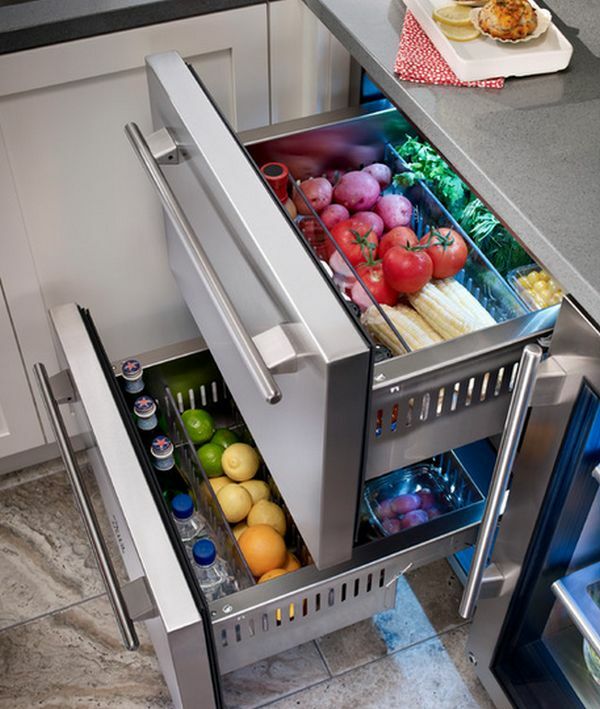 Mini-fridges under the counter are convenient, whether you use the energy-efficient drawer refrigerators for extra food storage or you install glass fronted wine coolers. 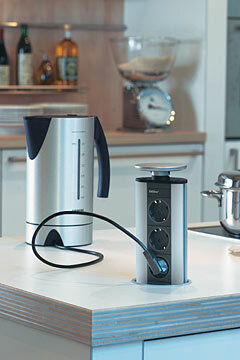 Combined with the coffee station, you have all your drinks in one area of the kitchen! Make use of even oddly shaped areas for storage- like a tall thin cupboard for brooms and sweepers or a little cubby for paper towels. 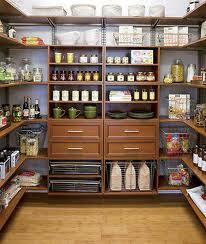 There are options to get the most storage out of every inch of your kitchen. 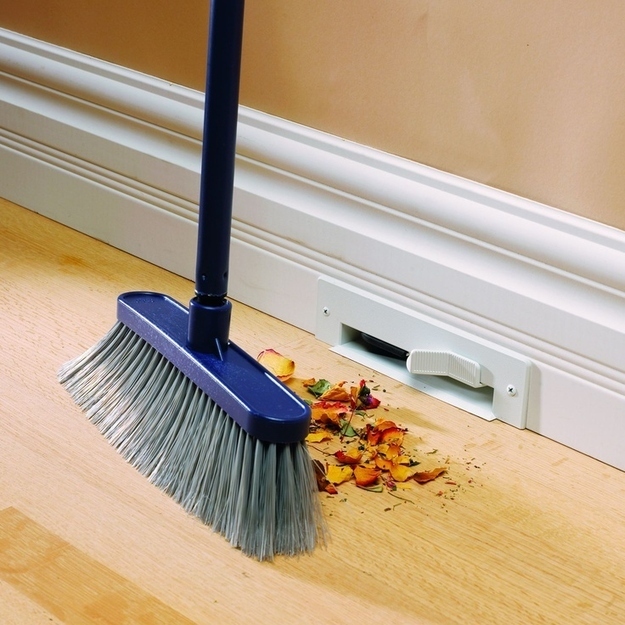 Kick-plate vacuum systems mean you can just sweep dust and dirt over to the opening and it disappears forever! 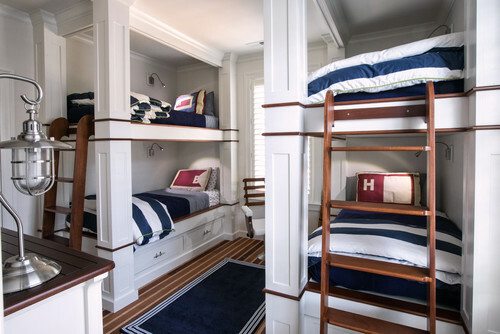 I’ve always looked at pictures of bunk rooms on Houzz and dreamed about building them into the beach house I’d have one day. They would, of course, have a nautical theme. 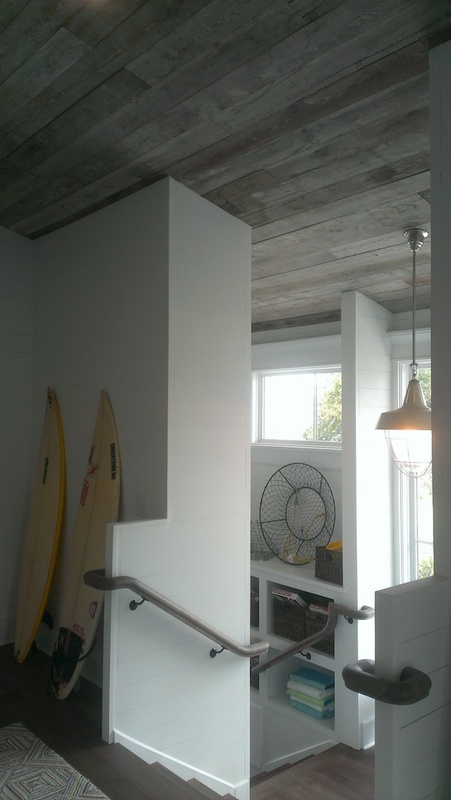 Well, my neighbors beat me to it – the bunk room, not the beach house. 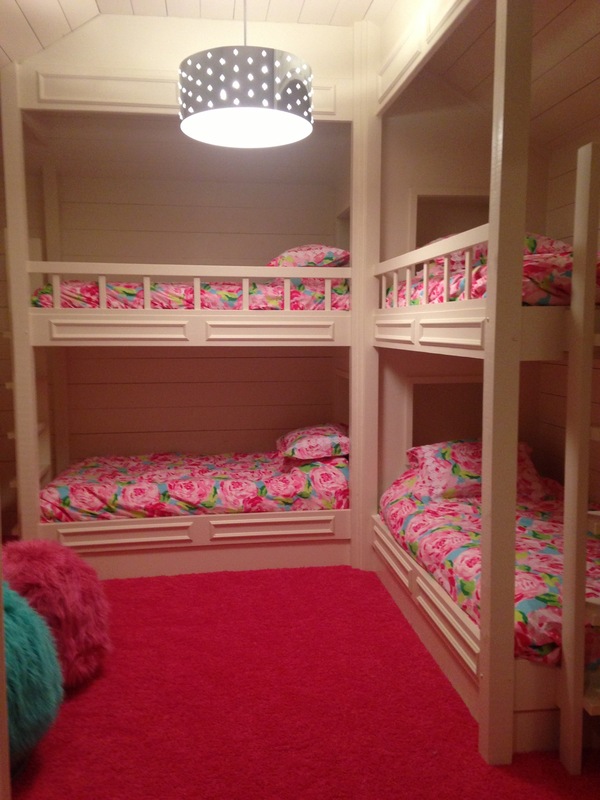 They took a dark room in their basement and had the builder finish it out super cute for their two girls. Each bed has a cubby-hole for a night light and whatever else the child wants to stash in there. Obviously, my son now wants one in a boy theme. He’s at the perfect age so if I’m going to do it, now is probably the time. 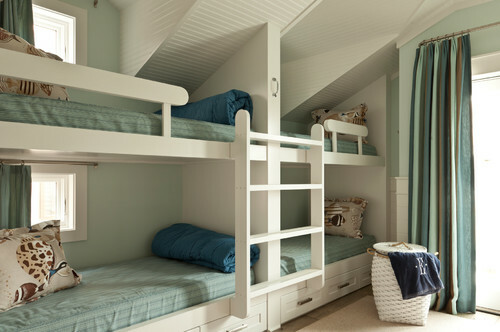 I imagine this will be THE place for sleepovers for many years to come! If you need the builders name or pricing, just email me and I’ll share it with you. Everything old becomes new again! I’m old enough to remember the early 80’s when gray was the neutral. It looks like it is making a strong comeback. 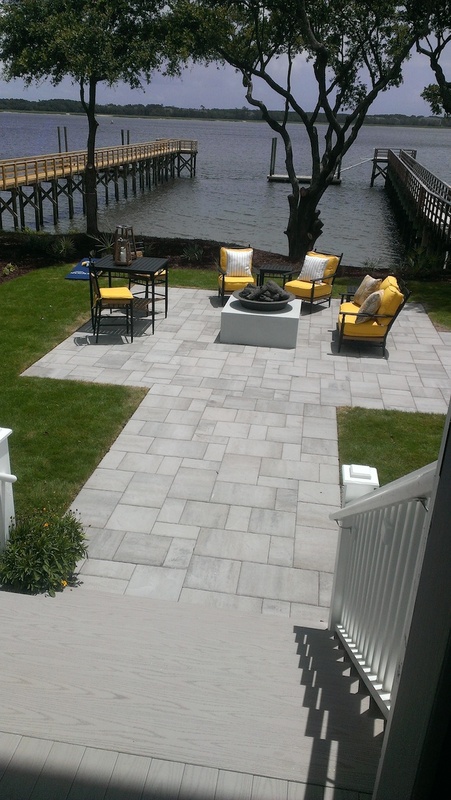 Clients are calling it Greige and in this article they are calling it Dune. It’s basically a warm-toned grey. Regardless of what you call it, I like it and already have a room this color. I find it goes well with stone or brick (the mortar in brick can be the same tones.) 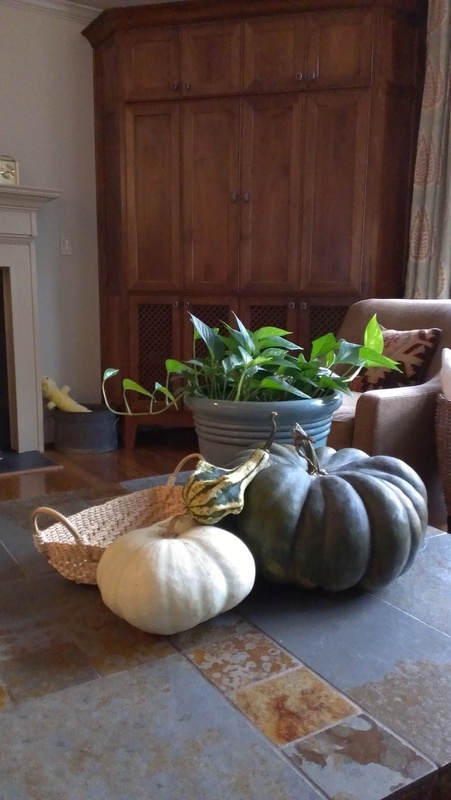 In surveying my house, I find that it is all solids – not patterns – which makes changing a color pretty easy. Someone once told me when selecting colors for your home to look at your wardrobe as it contains color you tend to like. I can’t say the color scheme applies to me – I have a pretty bright summer wardrobe and fairly dark winter one – but the lack of patterns certainly holds true. “I regularly work gray into my projects because it instantly elevates the design and adds depth to the palette,” says senior interior designer Travis Rotelli, who works at the Kohler Design Center in Kohler, Wis.
Another old style that is making a comeback is brass. So often, I hear clients say that they don’t like all the brass in a particular house. The solution for that now is to simply take the good quality Baldwin brass and have it dipped to remove the clear coat. This will reveal the natural brass. This natural aged brass is beautiful and the new style again. I have Baldwin Brass in my home and may try it in a few rooms to see how it goes before I do the whole thing. If I do, I’ll be sure to take before and after pictures. 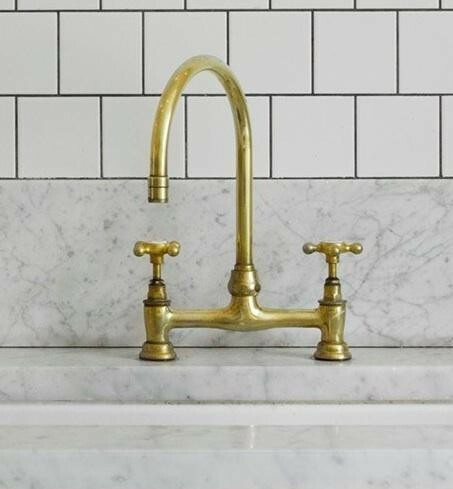 I like the warmth of brass, and while hardware styles and choices change so frequently, high quality fixtures should be able to pass the test of time. What do you think of both of these comeback styles? Have you or would you use either of these in your own home? I’ve recently had a few listings that a few Atlanta real estate agents called “contemporary”, and although the homes themselves would not be called contemporary it seems that anything different than what Atlantans are used to seeing being built by builders around 2005 gets labeled contemporary. I’ve had agents tell me contemporary doesn’t sell in Atlanta. I want to be the first to disagree and talk about the contemporary trend in metro Atlanta real estate. Contemporary influences and style can be found in homes throughout metro Atlanta, including this home for sale in Smyrna at 1912 New Haven Court. Click on the photo for more pictures and information. Listed by Tina Hunsicker of Prudential Georgia. When I first started in real estate in 2002, I may have agreed. I saw builders all building the same things – brick and stone with a lot of mixed media in between. The floors plans all had a similar feel. In 2013, not only do we have a different audience in Atlanta, but also we have a very global influence on our home designs and clients’ desires. Those from NY, California and yes, many places in between have been seeing modern architecture and finishings a lot longer than here in the heart of the South where oriental rugs and draperies seem to be the preference. The dining room at 1912 New Haven Court is also modern – note the light color palate with an intentional splash of color. Wonderful! Click on the image for additional information and more photos. I was inspired to write this post this morning after reading an article in my daily Prudential e-news. The article which I’ll post below is about Legos and the simplicity their new design holds. I find myself starting to move everything in my house to “white” or variations of it. I like the simplicity, the ability to add accents in different seasons and have a new look all the time. Sometimes when life is crazy, the best retreat is to a room that is clean and simple. It’s relaxing to me. I guess that’s the Zen feel that many look for. Anyway, I hope we continue to see more structures in Atlanta that are “simple” with clean lines, and our children can take the monochromatic Legos and really “create” versus copying the picture off the front of a box. I like the lesson learned here, and I think I’ll find this set for my son for his birthday. RISMEDIA, Thursday, August 29, 2013— (MCT)—Over the last couple of weeks, a tiny monochromatic skyline has been growing in my kitchen.Since opening Lego’s new Architecture Studio, my daughters (who are 9 and 4) and I have been putting together, dismantling and redesigning a group of about 10 buildings. We’ve kept the results on display on a shelf above the sink.Because the Architecture Studio includes bricks in just two shades — white and transparent — the buildings we’ve created all seem to be related, at least distantly, to modern architecture. This is a decidedly Corbusian color scheme; as my 9-year-old put it, gesturing in the direction of a house she’d made, “If that was hot pink, it wouldn’t look modern.”Even her barn-like structure with a pitched roof looked as much Cliff May as old-fashioned stable, thanks in part to a transparent ground floor. The limited palette also seems to make the kit more forgiving — nearly any design looks pretty good in all white or the Lego equivalent of all glass (or a mix).Lego has produced a number of architecture-related products, but they’ve tended to be kits to design a single famous building: Frank Lloyd Wright’s Fallingwater, for example, or the Sydney Opera House. The Architecture Studio is closer in spirit to the original Legos, the ones that allow you to build whatever you feel like building.And as Edwin Heathcoate, the British architecture critic, pointed out recently, there’s something to be said for simplicity and open-endedness in toys. Part of that is nostalgia, I think, for a pre-digital age; but you can’t argue with the number of accomplished architects who talk about playing with Legos or wooden blocks as a formative experience. In that sense it’s surprising Lego didn’t release a set like this years ago. The Architecture Studio comes with a pretty thick book featuring interviews with (and design advice from) architecture firms, including Tokyo’s Sou Fujimoto and the Swedish office Tham & Videgård. But it’s as much a collection of conceptual essays on the nature of architectural play as instruction manual — and to be fair, this is a product pitched at a target audience older than my kids, really teenagers and up. I decided I liked the limited color scheme: It made the ungainly buildings I put together seem to come from the same architectural family as the ones the girls made, even if the shapes and sizes were quite different. I suspect more than a few kids, though, will open the box and immediately wish for brighter colors. As I thought back on the time we’ve played with the set, I realized something surprising: The only time the three of us spent a sustained period of time using it together was right after we first took it out of the box. The 1,200 pieces in the set come all mixed up in a bunch of small pouches. Before we built anything we decided to sort them by type as we all sat on the floor. That took a full hour. It was strangely meditative. A rare quiet descended on the house as we tossed the little bricks into growing piles. I’m sure I’m not the only one that’s on vacation this week and all its doing is raining. 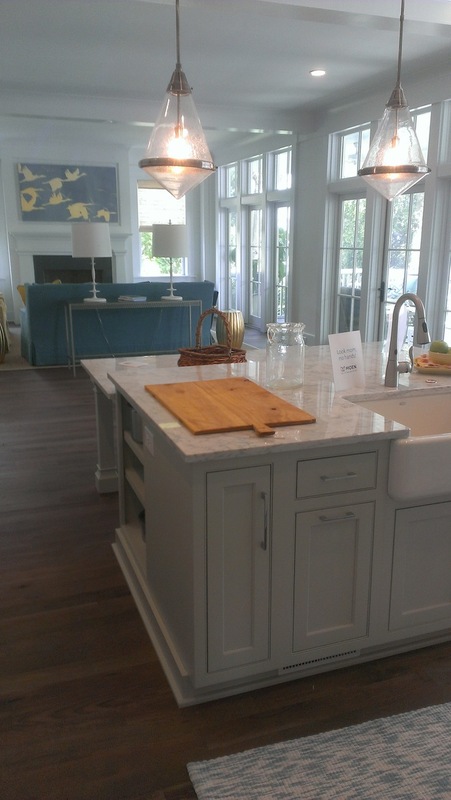 Since I look at houses for a living I’m usually not that anxious to go to home tours when I’m on vacation, but my mother really wanted to see Coastal Living‘s 2103 Show House which is here in Charleston, SC, on Daniel Island. 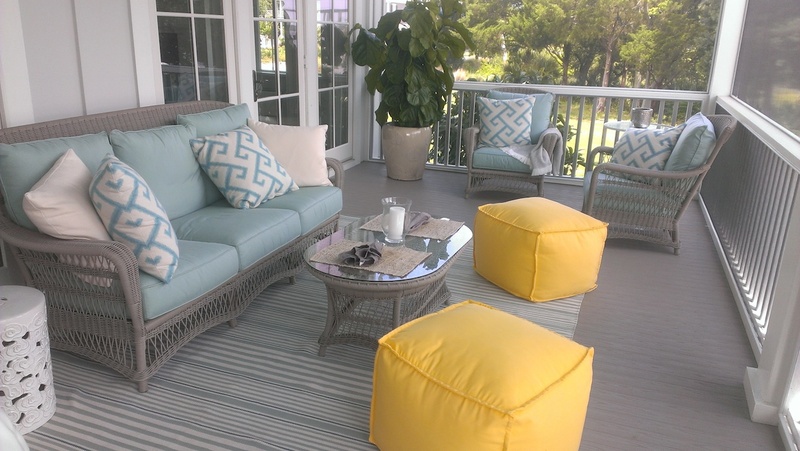 Here’s a great article about the Showhouse in the Charleston City Paper, on the Coastal Living website, and here’s the info on the Daniel Island website. We went yesterday and I actually learned some things! I loved so many things about this house and after you look at these pictures I’m sure you will too. 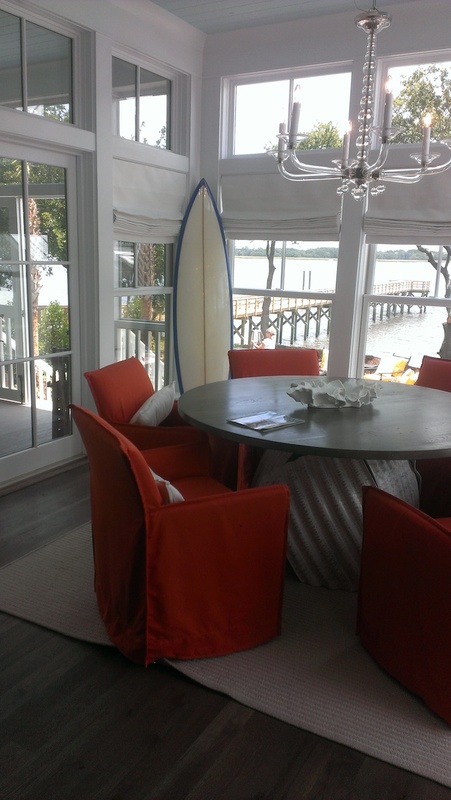 From the “fumed” hardwoods to the 6 foot windows throughout, the colors are exciting, light and bright. The use of greys is subtle and goes with the many driftwood types of finishes. Check out the pictures for yourself (17 photos)!! I want to live here! 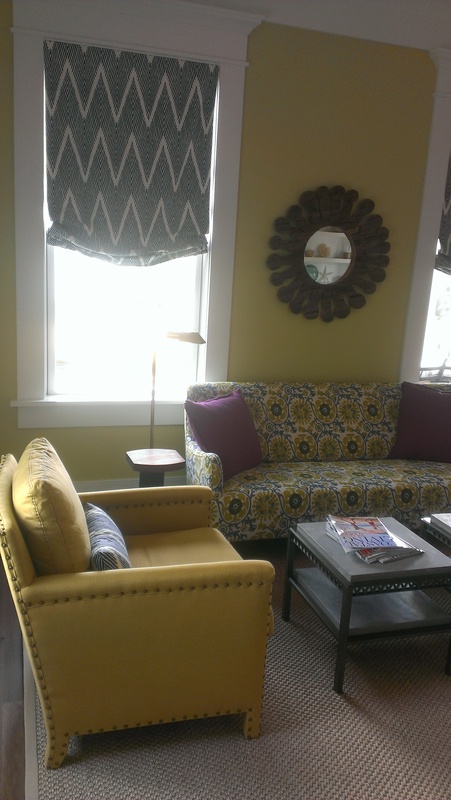 The formal living room has many bold colors. Love the print on the sofa! The fabulous colors in family room, specifically yellows and teals, set the stage for all the wonderful colors to be seen throughout the home. 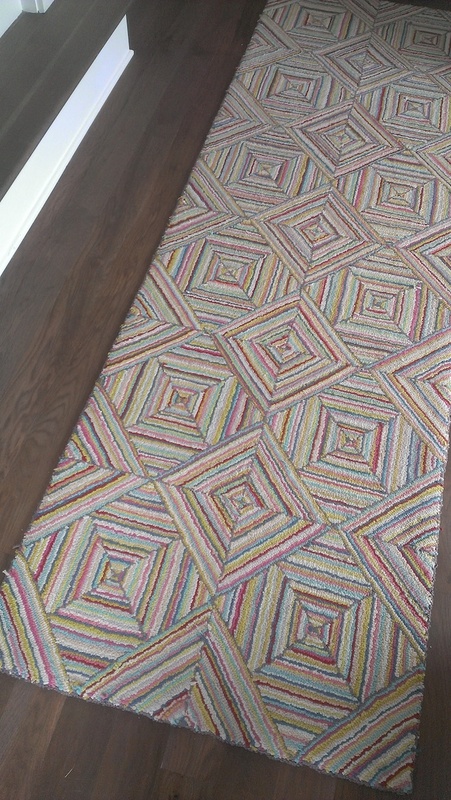 Just love this rug! Goes with all the fabulous colors. 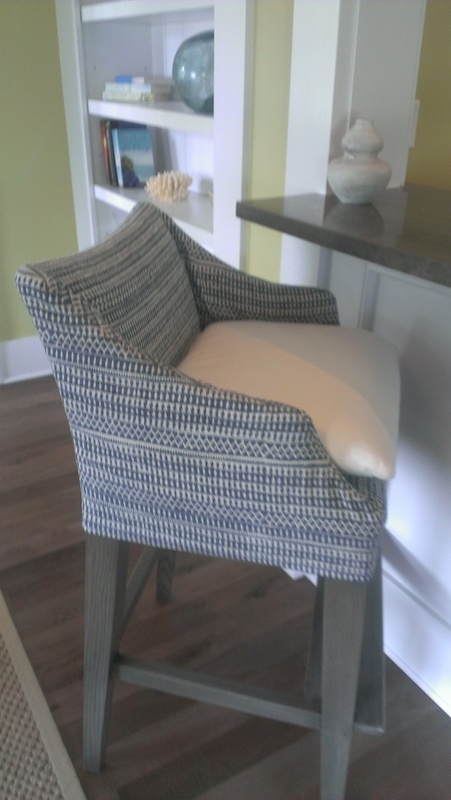 What a great slip cover on this bar stool! 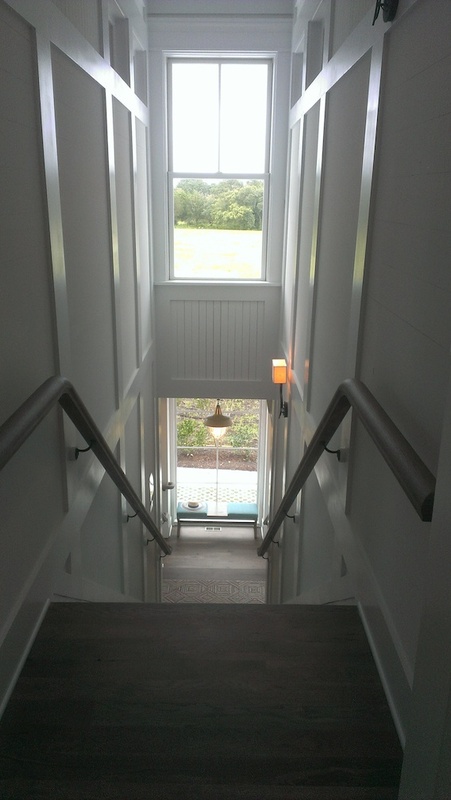 I love the symmetry on these stairs! Marvelous! 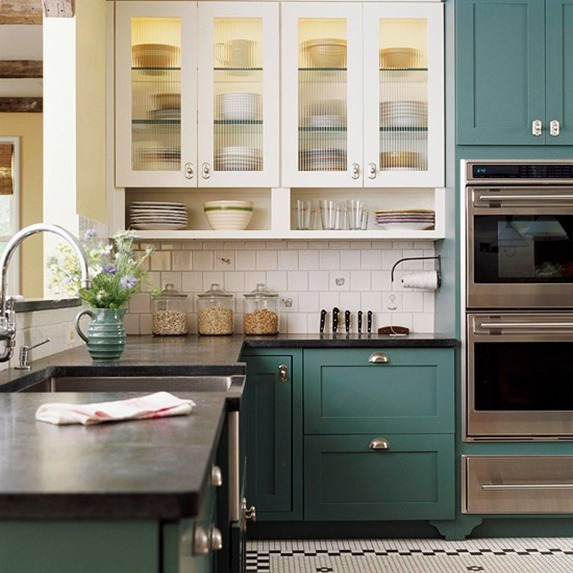 Kitchen – ooh la la! Ok, I don’t know anyone that wouldn’t love this kitchen. Light and bright is key and this could be placed in any city in the country, doesn’t have to be Coastal. This is the view from the kitchen into the adjoining family room. 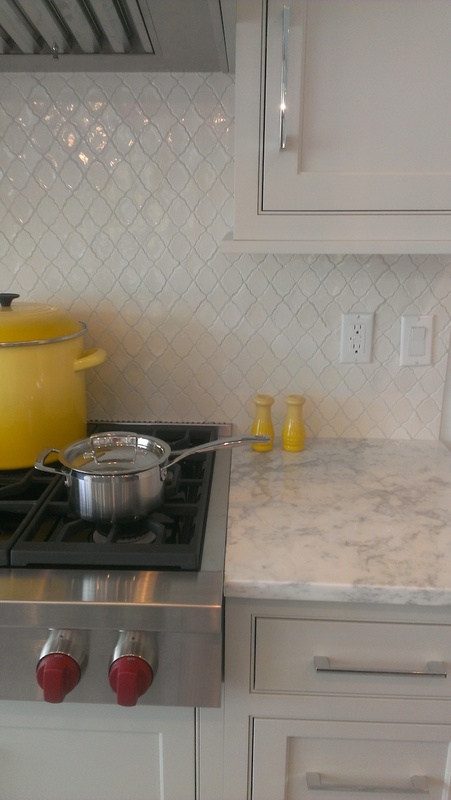 Even better….look at the detail of the kitchen’s marble, tile and cabinetry color. Love it! 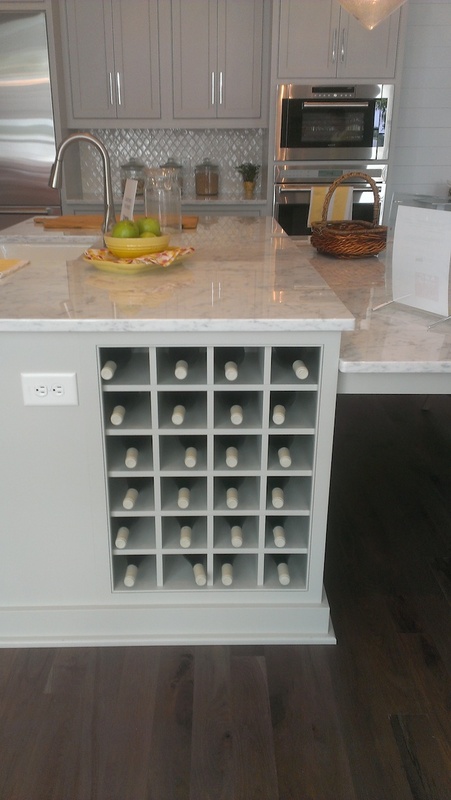 Sure there were wine coolers, but look at this pretty storage. 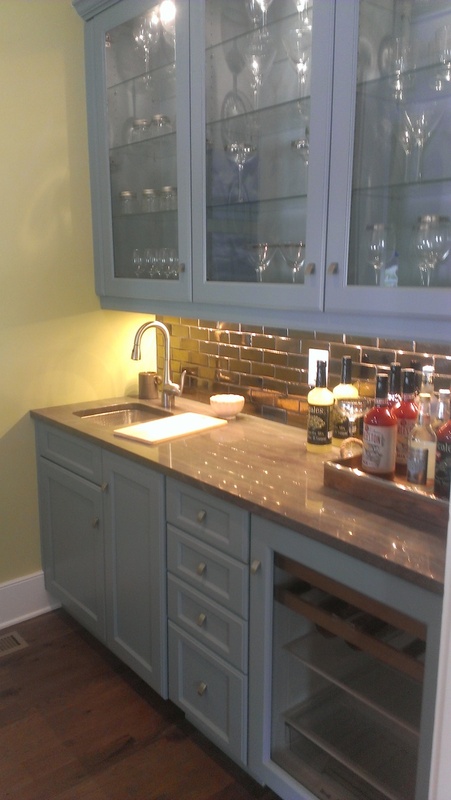 Wet bar, not sure my colors are showing up well, but this blue grey cabinetry was beautiful. Look at this view and the windows in the kitchen eating area! I want to build a new house after seeing these floors and windows. I’ve always wanted a metal roof but friends talked me out of it last time I remodeled. 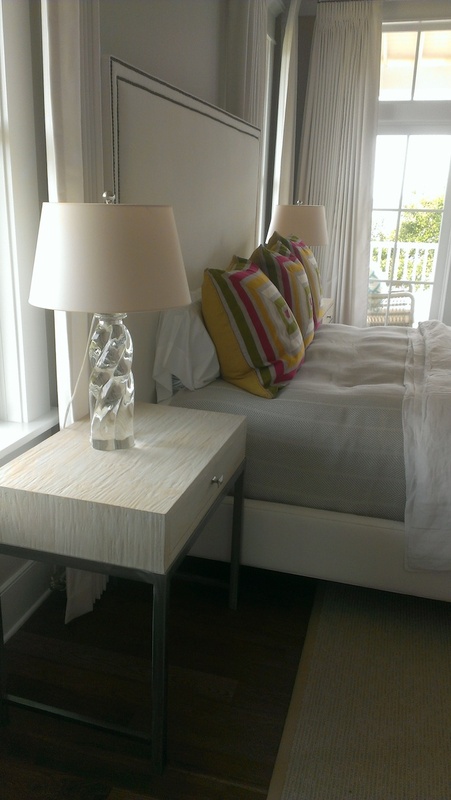 In master bedroom, theere is a white focus with splashes of bright colors. Views of the Charleston bay out the window. Love the lamp! Available at Circa Lighting. 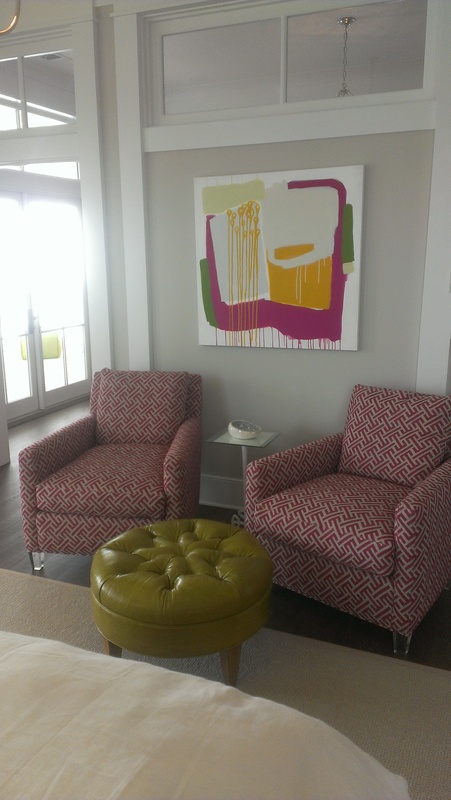 This is the sitting area in the master bedroom. Notice the transoms to keep the light flowing thru the house. 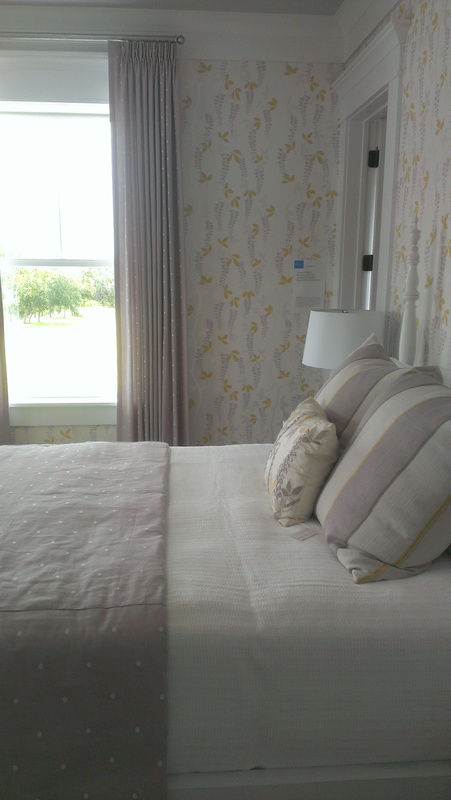 A guest bedroom in the show house I love the use of greys and yellows. The linen fabrics needed to be touched as well. So inviting! 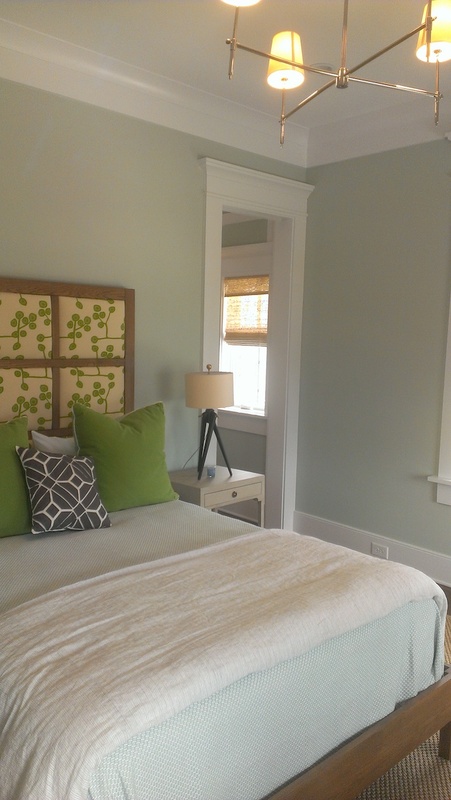 The green accents make this room come alive. I also like the lighting! 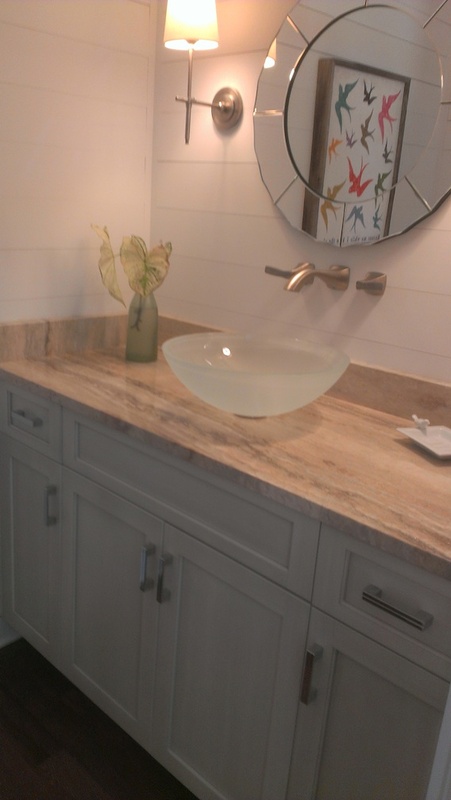 Even the powder room is beautiful in the Coastal Living Showhouse! Powder room on main. Love the fossil or shell material, not sure if its stone or fabricated? 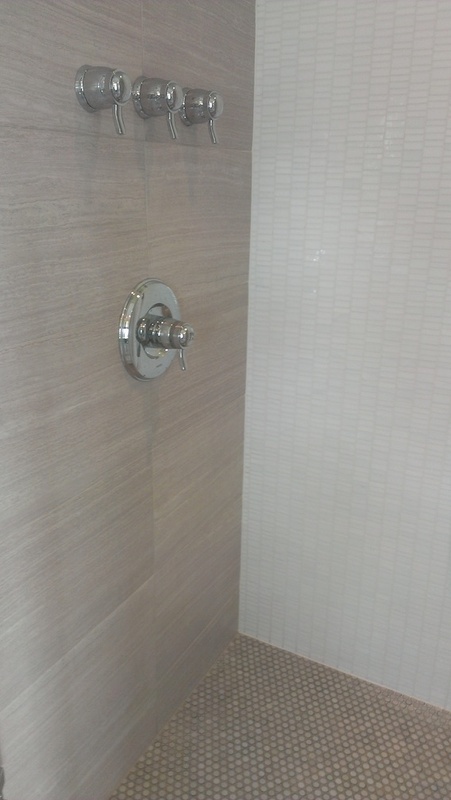 This is the master bathroom shower – I love the tile work! Its all about the views on the coast. 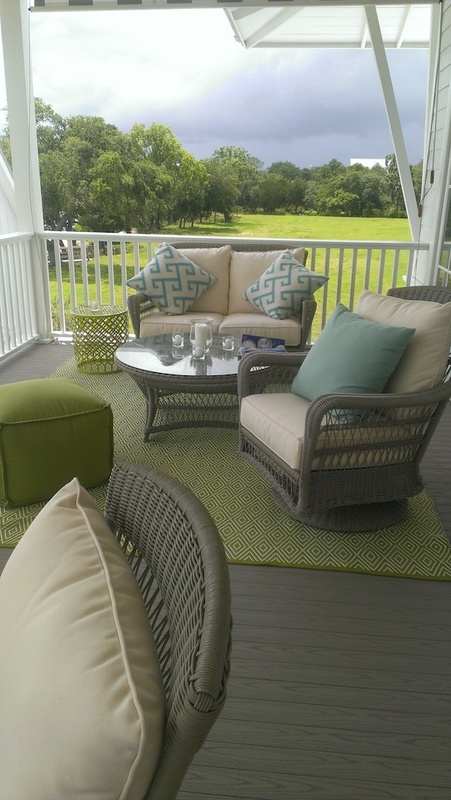 Here’s the outdoor seating area, there were plenty of seating areas on porches as well. The pops of yellow are very well-placed. How relaxing is this! It’s another outdoor living space, in a screened in environment. 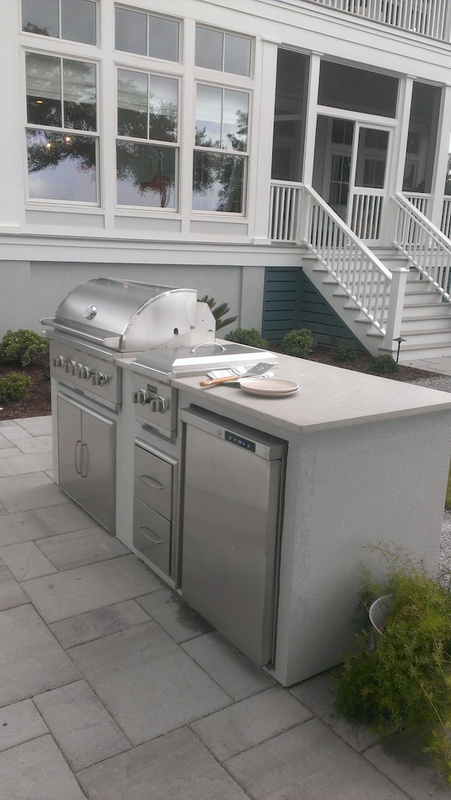 Of course there’s an outdoor kitchen. This is the area heading out the back door and also downstairs. What great design! 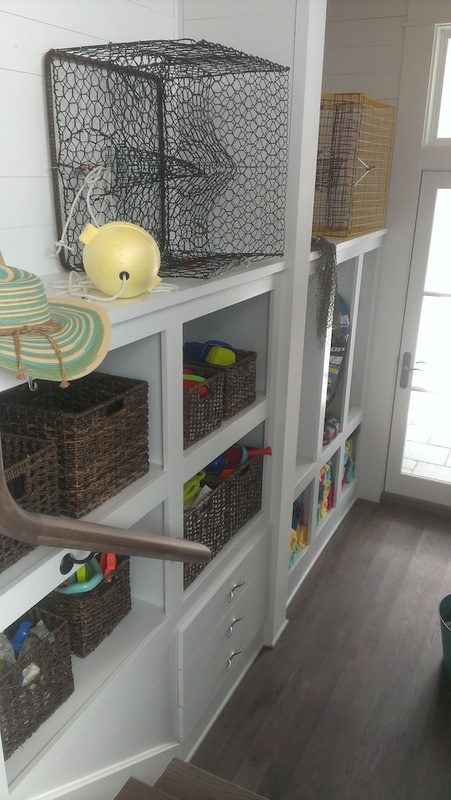 If everyone’s mudroom could be this spacious and organized! 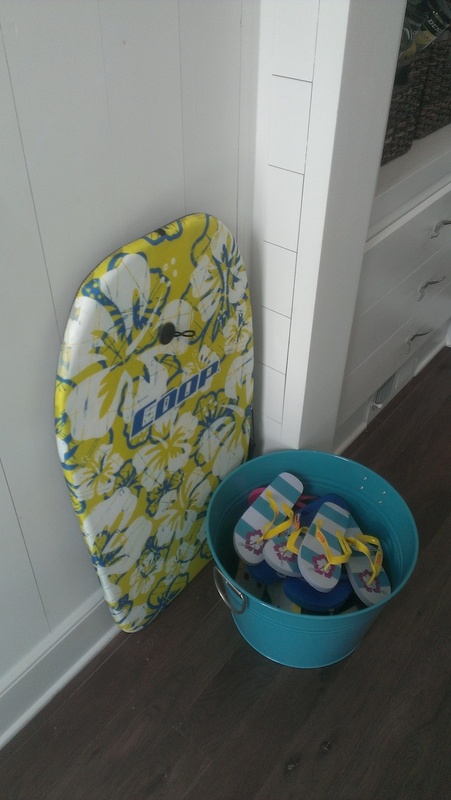 In the wonderful back hallway leading to the garage are lockers filled with towels and beach gear. I loved the idea of the bucket for the flip flops. We need this at my house! Well we have finally completed our decorating both inside and out now that the weather has cooperated for a few days. Below are a few pictures with my sources listed in the captions. As you can see, we’ve even decorated the printer! Every year I shop for fall decor at Home Depot, Pike’s, Target and Michaels. 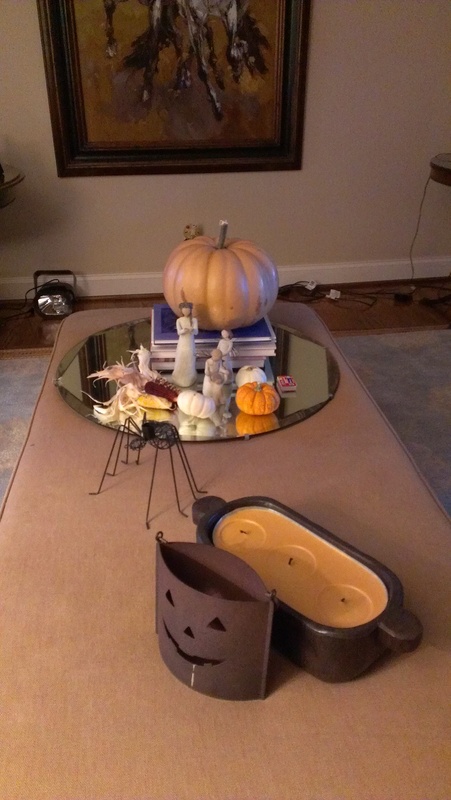 I actually bought all of our pumpkins at Home Depot as well as this flower pot. 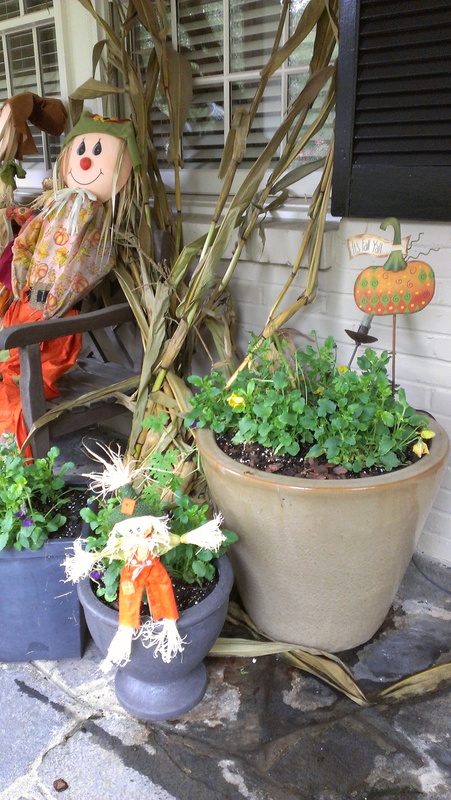 The small metal pumpkin inserted in the cream pot is from Pike’s while our corn stalks were from Home Depot. 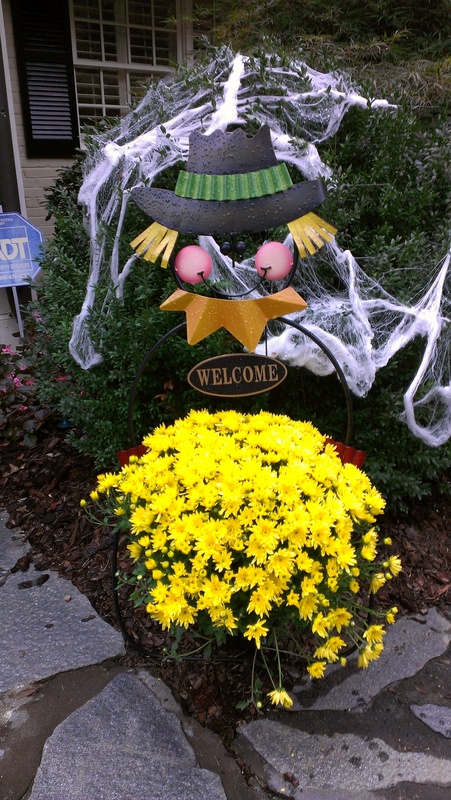 Our scarecrows welcome you to the door! 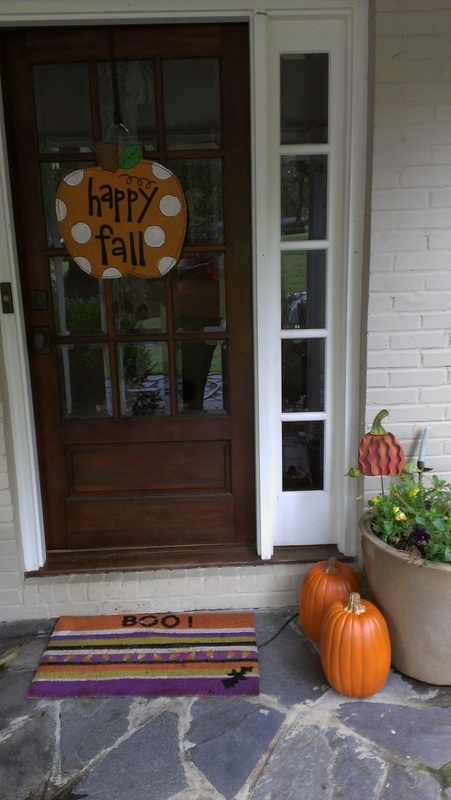 This pumpkin on the front door is a favorite that I found at Pike’s. Come on in! Every year is interesting based on the variety and colors of pumpkins. We bought a green one, pink, salmon, white, blue and of course orange. I’ll buy the large carving ones later, but at least this variety kept my little fellow busy for a while. 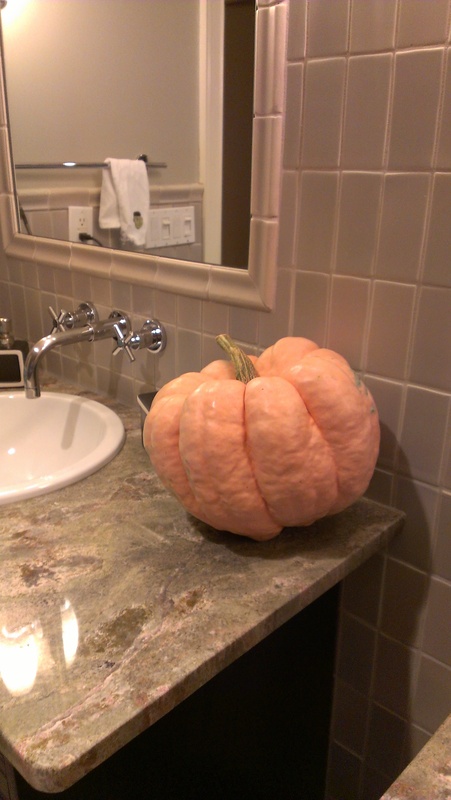 We have pumpkins galore throughout the inside of the house! They are all from Home Depot. We even decorated the printer! Last night he began constructing the “boo bags.” I’m not sure how many he has complete now, at least 20, so I know some evening this week or over this weekend we’ll be heading out into the neighborhood to make frightful deliveries by the mystery “booer”. If you live in Vinings, look out for the Mummy or swamp monster or whatever he decided he’ll be that evening. He told me I had to hide my car this year as that’s how people were guessing him. He has SO much fun! 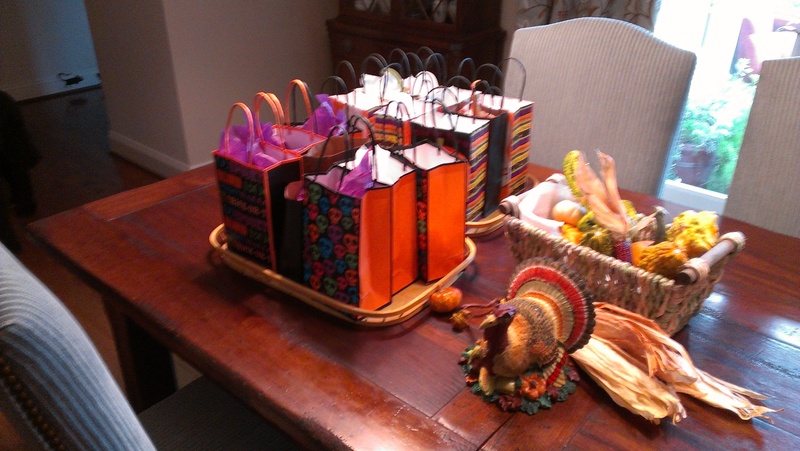 The boo bags have been filled! With a birthday in October we love to give “spooky” party favors. 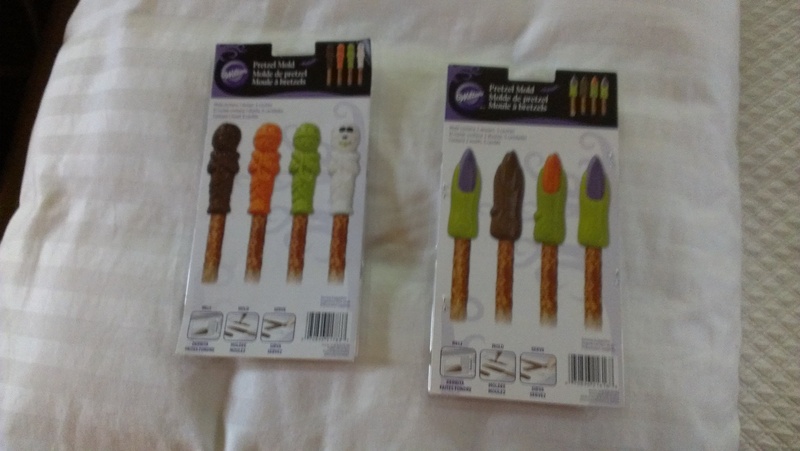 I found these pretzel fingers at Michael’s. 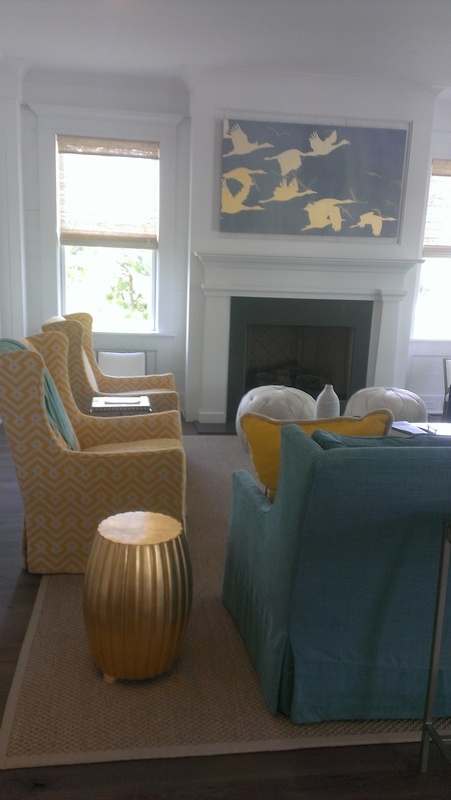 Atlanta Symphony Orchestra’s Decorators’ Show House & Garden – open through tomorrow! The Show House is open through Sunday, May 13, and tickets are $25 at the door. 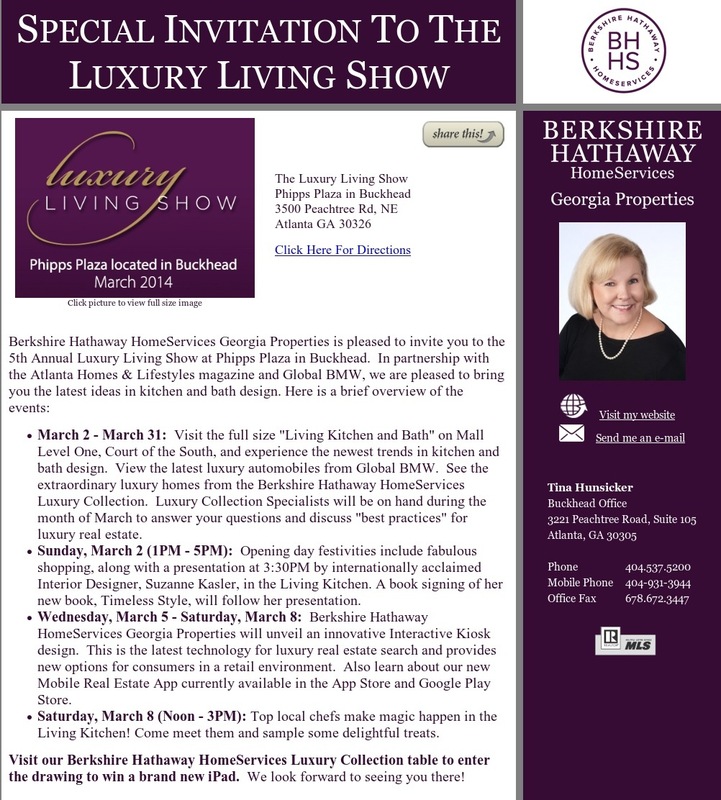 Click here to learn more about the Show House. Knollwood is the location for the 2012 Atlanta Symphony Orchestra’s Decorators’ Show House & Gardens. The show continues through tomorrow, May 13, and tickets are $25 at the door. The Family Dining Room was designed by the talented mother & daughter duo, Alison Womack Jowers and Cheryl Womack of Womack Interiors. By the way, the amazing dining table is a Maison Jansen “Palais Royale” table from Parc Monceau. 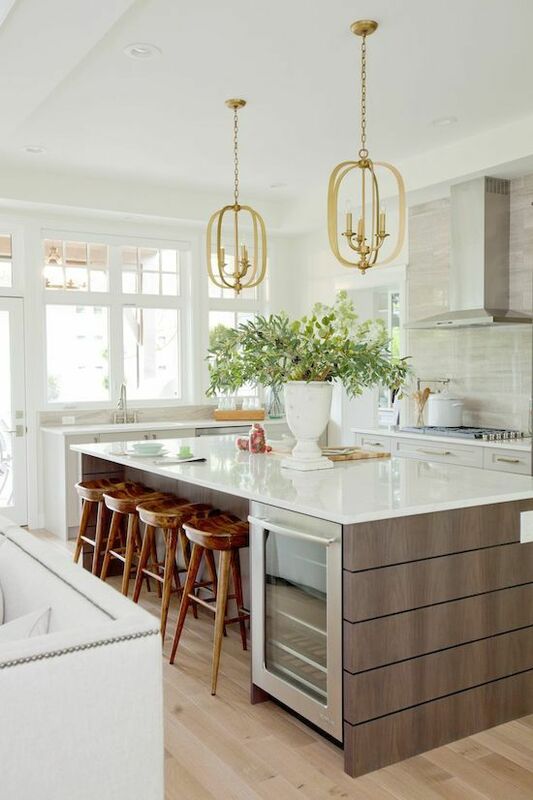 Photos from a great Atlanta design blogger, The Peak of Chic. John Oetgen of Oetgen Design decorated The Solarium. Many of the designers included something musical in their rooms in honor of the Atlanta Symphony Associates. Photos from The Peak of Chic. Butterflies (not real) are used in place of chess pieces on this antique Chinoiserie games table from Parc Monceau. Photos from The Peak of Chic.